Meseret Defar produced a telling sprint finish to hold off a strong challenge from fellow-Ethopian Tirunesh Dibaba and win the 5,000 metres in the Diamond League meet in Zurich on Thursday. 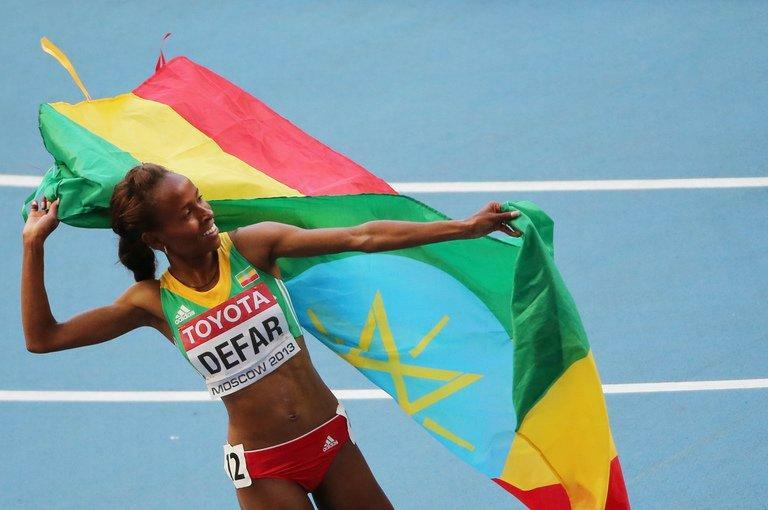 Defar, the world champion and double Olympic gold medallist, finished in 14min 32.83sec, with the beaten Dibaba trailing in in 14:34.82 in the penultimate Diamond League meet of the season. Dibaba, 28, the triple Olympic champion who completed the 5,000m/10,000m double in Beijing five years ago, tried to break clear too early after her sister Genzebe had upped the pace at the four-kilometre mark. But despite covering the final 1,000m in 2:40.68, Dibaba could not shake off Defar and lost the run-in on the home straight when Defar kicked for the line. The victory gives Defar a 15-11 head-to-head advantage over her arch-rival in 5,000m contests.